There's a lot of debate on the perfect way to cook quinoa whether a 1:1 or a 2:1 water to quinoa ratio is the best but I always find when I'm cooking a small amount I need a 3:1 ratio, the water seems to boil away faster because of the surface area of the saucepan. I also like to leave the quinoa in the saucepan with the lid on after it's finished cooking to fluff up. 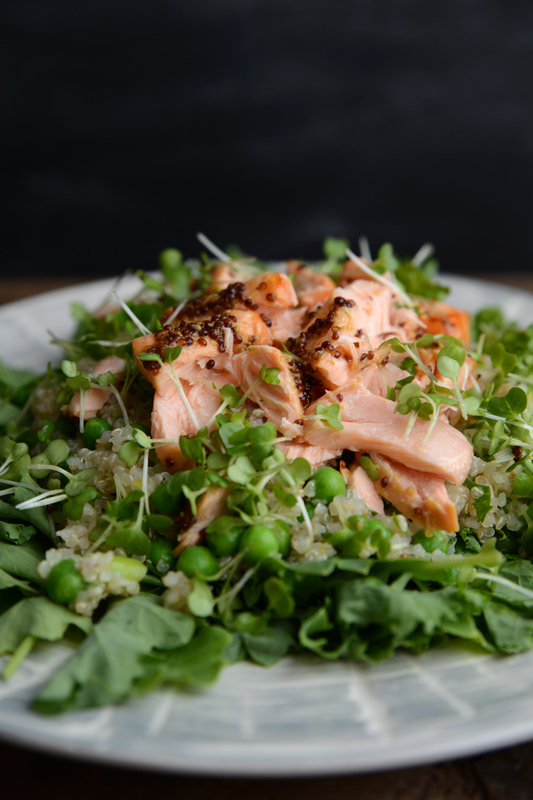 I serve this salad cold but you could cook the peas and eat it hot I'm sure it would be just as yummy. Cook the quinoa and leave to cool in the pan. If you're using frozen peas you'll need to leave them out to defrost. 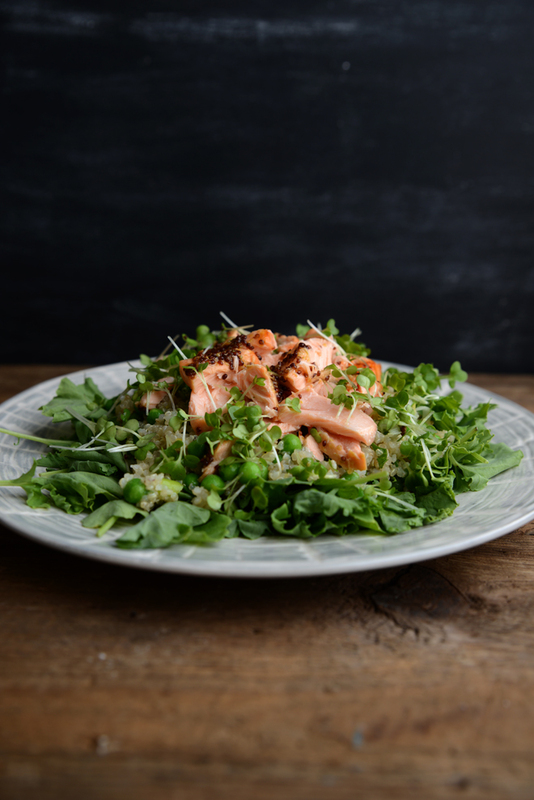 Put the fillet of salmon on a grill pan skin side up and place under the grill, while the salmon is cooking put all the ingredients for the glaze in a little dish and mix until combined. Once the skin of the salmon has started to bubble up and brown, turn the salmon over and pour the glaze on top, place back under the grill for another few minutes until the salmon is cooked and the glaze has slightly caramelised. 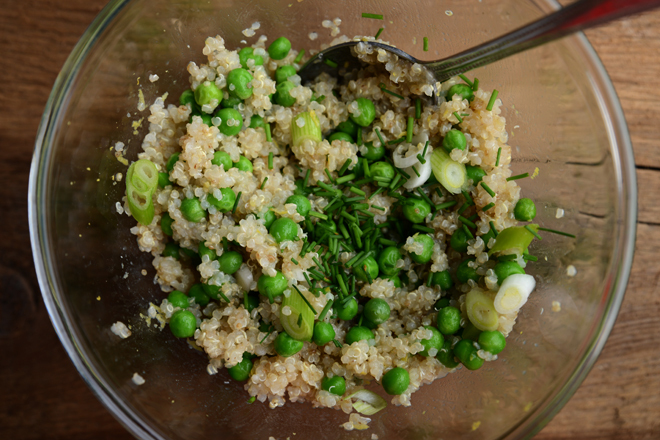 Once the quinoa has mostly cooled add the lemon zest and juice, olive oil and salt & pepper and mix. 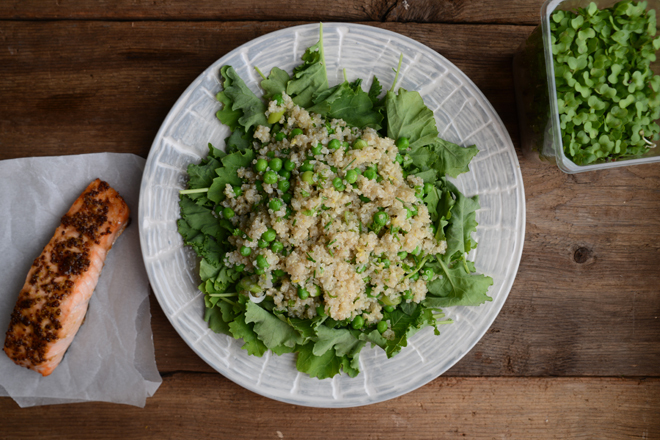 Slice the spring onion, chop the herbs and add to the quinoa with the peas and mix again until everything is evenly combined. 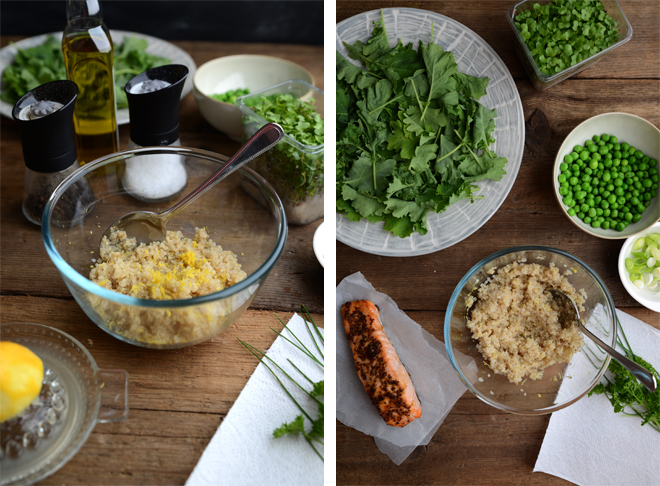 Place the kale on a plate and spoon the quinoa mixture on top. 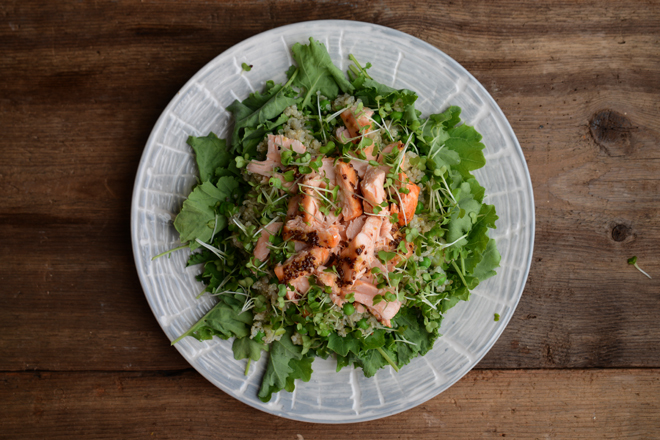 Pull the salmon apart and place on top of the quinoa discarding the skin and top with cress.